"Merken als Bruut.nl, Bijenkorf.nl, Wehkamp.nl en Fashionchick.nl gebruiken deze functionaliteit al jaren om hun conversie te verhogen." The Quick View app adds instant preview options to a category page without going back and forth to product pages. 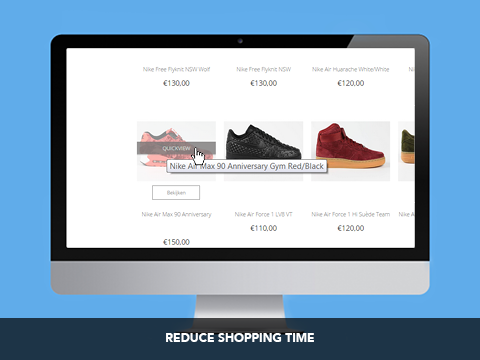 It makes your webshop easier and faster to navigate. With 1 click the quick view appears as a lightbox pop-up with the product details. Now you can already add to cart from the pop-up. Easily continue to the next product with the previous/next arrows. 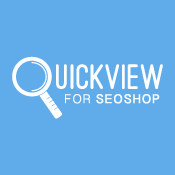 Quick View will help visitors explore more, find the product faster, decrease the bounce rate and this will result in a boost of sales! 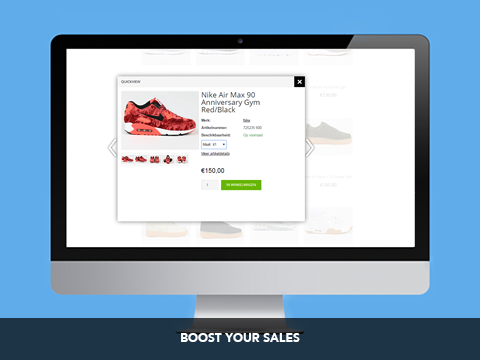 This functionality is used for years by many global brands such as Asos.com, Forever21.com and Macys.com to increase their conversion. Step 1: Install the from the Lightspeed App store. Step 2: You will be redirected to the app dasboard of Vivaio. Step 3: Create your account and login. 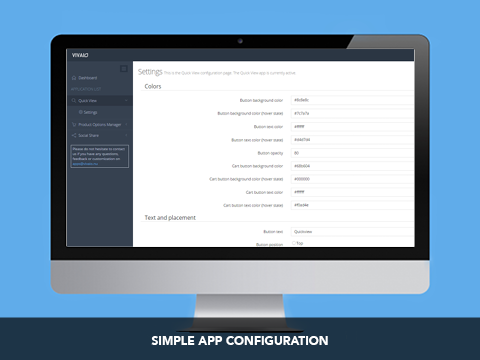 Step 4: Select Quick View and configure the app. For example, choose the button colour or buttontext. Questions? Contact us via [email protected] . Click here to read the documentation.